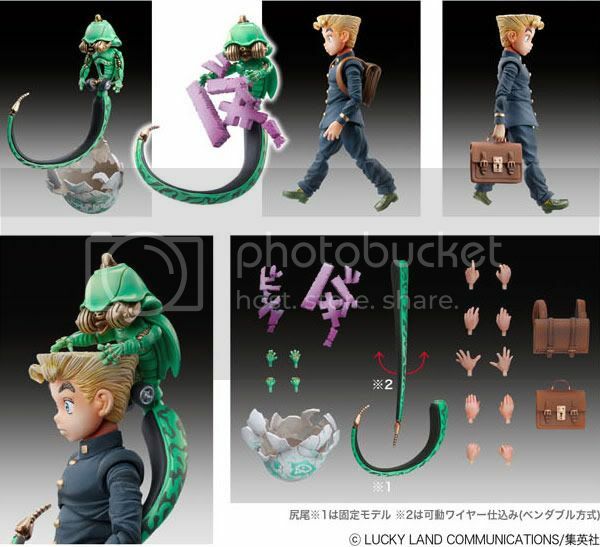 Medicos Entertainment is going to release the Super Action Statue Koichi Hirose & Echoes ACT 1 action figure from the manga/anime JoJo's Bizarre Adventure. 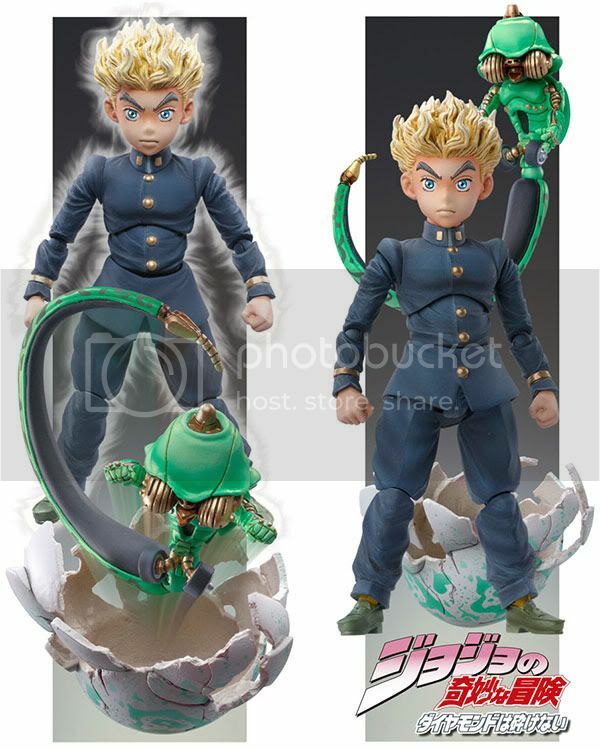 Koichi Hirose and Echoes ACT1 are approximately 90mm and 75mm in height, and will be released in January 2011 around 3,500 yen. 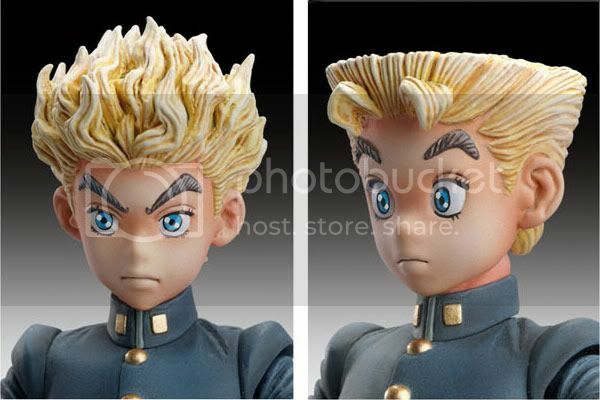 Koichi will comes with an optional head part with different hair & expression. He will also eqquiped with 2 types of school bag. ACT1 will comes with egg shell, articulated tail with wire inside, and even comes with onomatopoeia part.